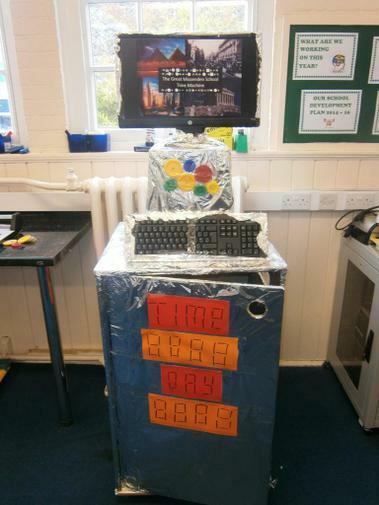 The Great Missenden School Time Machine! This week saw the invention of 'The Great Missenden School Time Machine'! This is a fully functional time machine, with the ability to transport the user to any time and any place (any resemblance to a box covered in foil is entirely coincidental). Every child in the school has been offered the opportunity to travel through time and experience the eye opening past or mind blowing future!